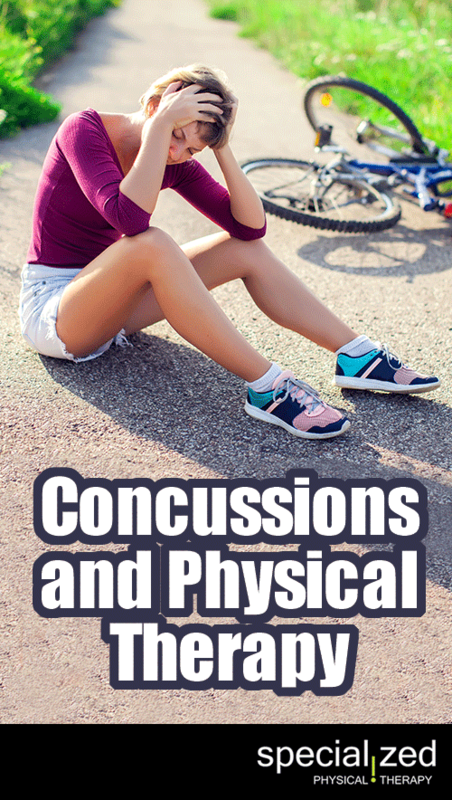 Concussions happen quite often, and not just to athletes. For one reason or another a head gets banged about and there it is, a concussion. Before you just blow it off, the ramifications of a concussion can be daunting, especially if you’ve had more than one. One of the most common misconceptions about concussions is; “a concussion is just a brain bruise.” It is more severe than that. The truth is that concussions cause structural or metabolic disturbance to the central nervous system following an impact. The brain is more gelatinous than solid. It consists of complex nerve pathways that run everything from our behavior to body movements. When there is a blow to the head, the brain slides towards the site of impact then back to the opposing side. This movement causes the pathways in the middle of the brain become disrupted, structurally and metabolically. This can lead to cell death. So how can physical therapy help? It is true that you need rest after a concussion. However, once nerve cells die they cannot regenerate. Therefore, those pathways will be lost forever. Research has shown that a combination of rest and rehabilitation helps form new pathways to make up for the lost ones. Once deemed appropriate by your health care team (physician, physical therapist, athletic trainer, etc.) you can begin physical therapy to help form new pathways. 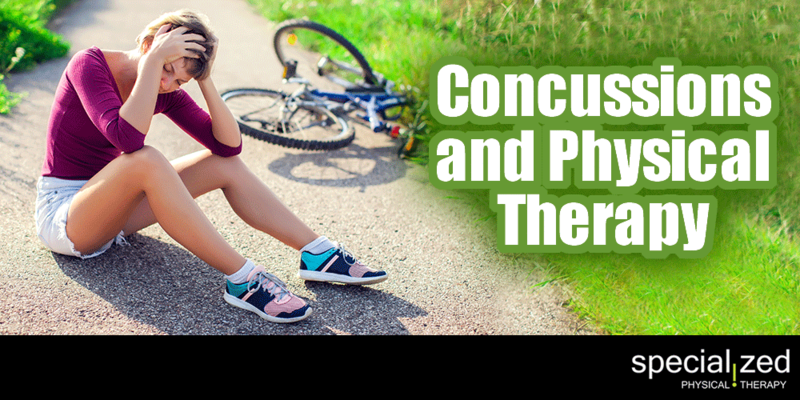 Some of the most common symptoms associated with concussion are headaches, dizziness, memory and cognitive impairments, and balance impairments. There are many different interventions that physical therapists can use to address these symptoms. Dizziness and headaches can be caused by muscle tension in the neck due to whiplash from the concussion. Physical therapists can use manual techniques and exercise to address this. Dizziness and headaches are also often cause by an impaired vestibular-ocular reflex. This reflex runs from your inner ear to your eyes and helps your eyes stay focused on objects while moving. Memory and cognitive deficits are very common after a concussion. Research has recently shown that cognitive tasks combined with vestibular-ocular reflex exercises forms new pathways in the brain quicker than performing these exercises individually. Balance can be impaired after a concussion making it unsafe to perform your daily activities. Physical therapists have numerous tests and techniques to know how to progress balance exercises safely. One of the most important things to know about concussions is that they are all different. Therefore, it is important to be evaluated by a physical therapist, so they can assess your symptoms and impairments to develop a treatment plan tailored to your needs.